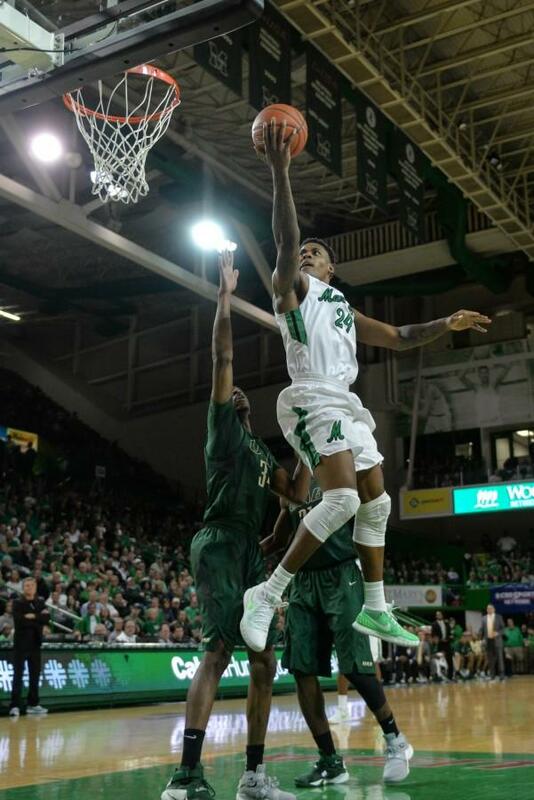 Forward James Kelly goes up for a layup in the team’s 81-78 loss to UAB Saturday. 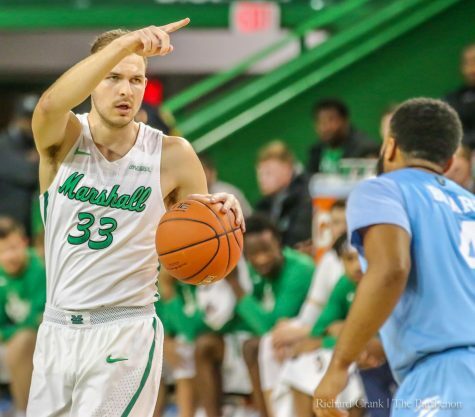 The Marshall University men’s basketball team will head southwest to El Paso, Texas to take on the UTEP Miners as it looks to improve on its 8-2 record in Conference-USA play. 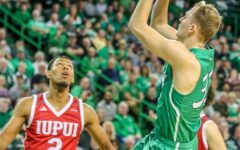 The Herd competed for the top spot in C-USA Saturday, but lost 81-78 to the University of Alabama at Birmingham in a controversial finish. 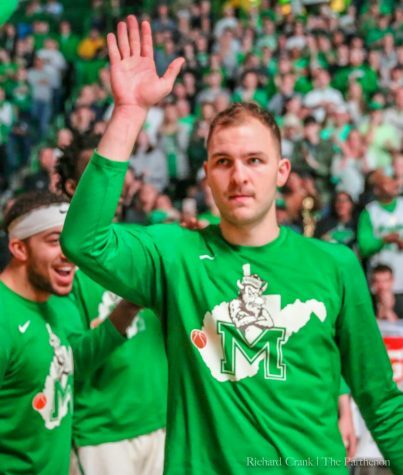 The loss bumped Marshall to second in the conference standings. 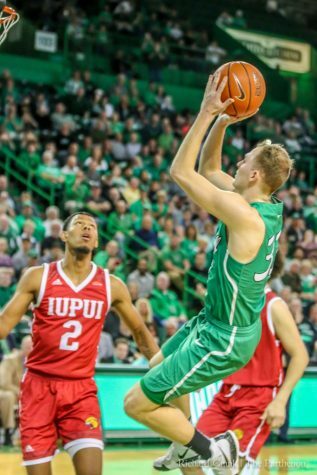 Senior forward James Kelly led the Herd with 30 points and 10 rebounds, registering his team-leading 11th double-double of the season. 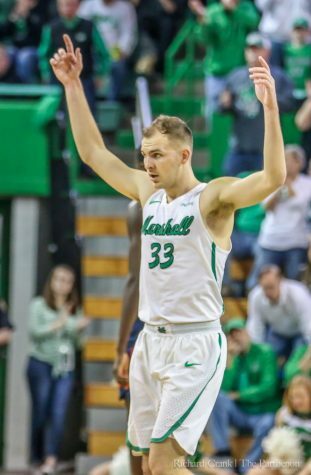 Kelly wasn’t the only one racking up points for the Herd in the team’s loss to UAB. 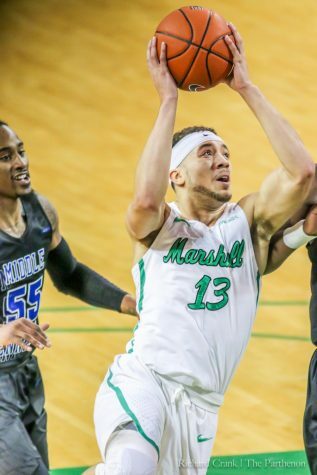 Junior forward Ryan Taylor also scored 19 points for Marshall as he was the only other member of the team to accrue a double-figure scoring effort. 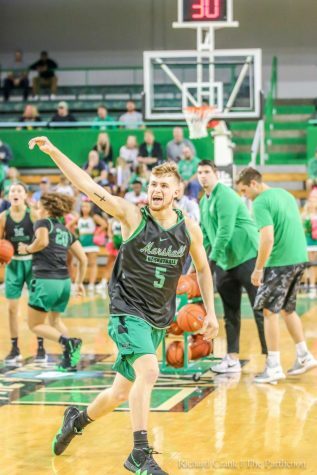 Despite the disappointing loss to UAB, junior guard Stevie Browning said the team is excited and they’re focused on looking forward. 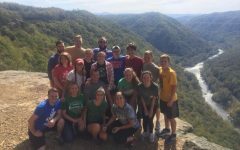 “It was a tough loss and we can’t wait to get back on the floor to get that bad taste out of our mouths,” Browning said. Ryan Taylor said the team is prepared and has shed the pain of the team’s latest loss. 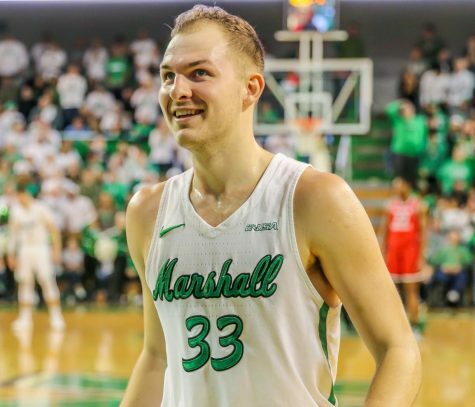 A win for the Herd would give Marshall its best 10-game start in conference play since the 1996-97 season when it was a member of the Southern Conference. 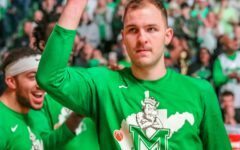 A win would also be the Herd’s first win ever against UTEP in El Paso. The game is scheduled to tip-off at 9:05 p.m. ET.